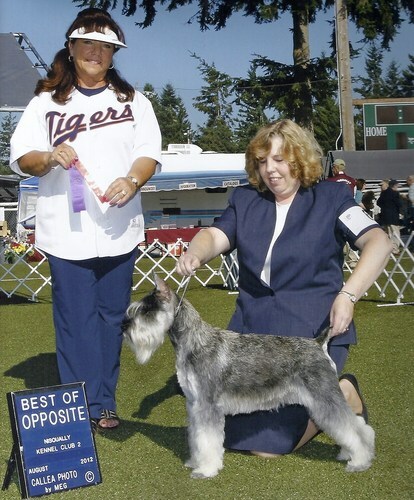 Scarlett is a wonderful dog with lots of energy and enjoys the show ring. She is compact and has a nice topline, nice movement and nice teeth and bite. She has been our showgirl lately. She has 3 points towards her AKC championship and 4 points towards her CKC Championship. 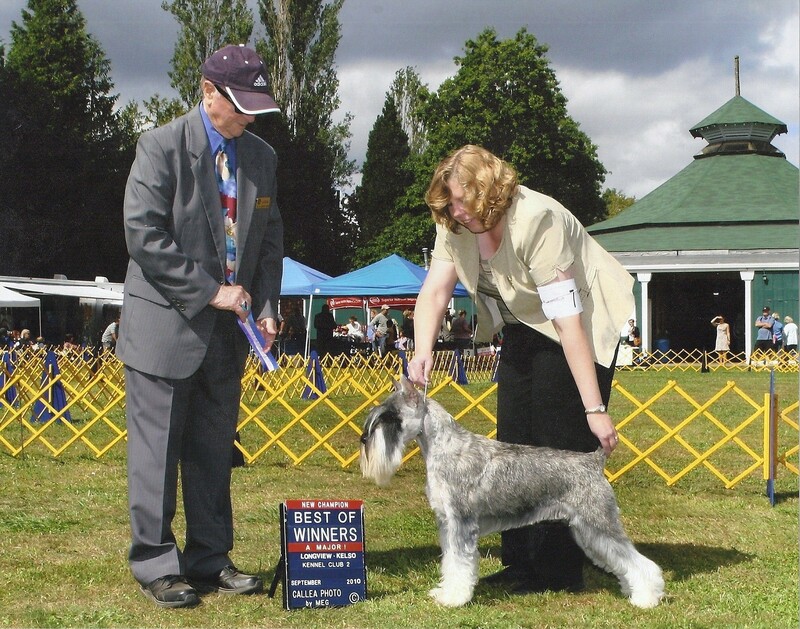 She won Best in Sweeps and Winners and Best Puppy at the Western Division Standard Schnauzer Specialty in Cloverdale B.C. She has a great personality and loves to run and jump and leap over things. She is a character and we love her. Scarlett passed away on 08/17/17 Rest in Peace Scarlett We love you! !